In his last address to the current Parliament, Juncker highlighted Europe’s current challenges, referring to security, migration, terrorism, climate change, Africa and Brexit. He failed, though, to mention Cohesion’s contribution to growth and development or and the challenges the policy faces beyond 2020. “We welcome several aspects of President Juncker’s State of the Union address, particularly his call for European solidarity, rejection of ‘exaggerated’ nationalism, and support for balanced migration reform,” Eleni Marianou, Secretary General of the Conference of Peripheral Maritime Regions (CPMR), told EURACTIV. “He presents the ‘Juncker Plan’ as the key to improved investment in Europe, but does not mention the key role that structural funds and Cohesion policy have played in boosting economic growth across Europe’s territories over the past 30 years,” Marianou said. 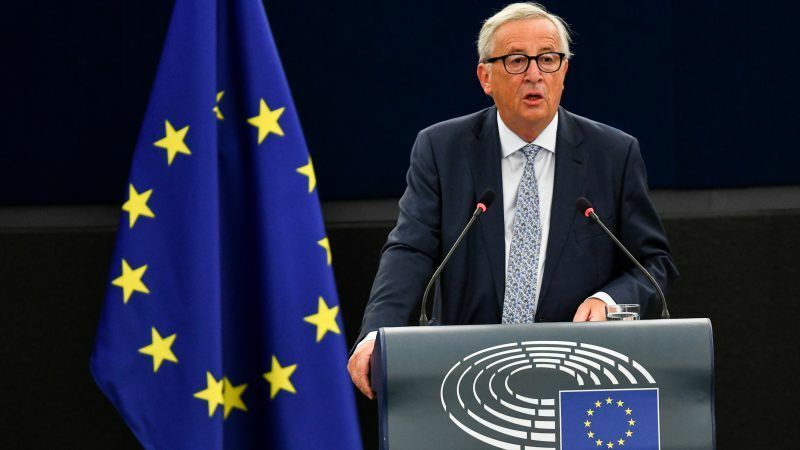 In his speech, Juncker referred to the need for a more solid European social structure and the avoidance of half-measures, linking it to the need for a timely adoption of solutions before the European elections in May 2019. However, no mention was made of the debate on regional policy and the 10% cuts foreseen for Cohesion in the next long-term budget. Referring to the EU’s commitment to tackle migration and apply an effective strategy based on shared responsibility, Juncker failed to recognise the regions’ impact and their contribution to the management of the refugee crisis. Failing to present the real picture for regions and maritime areas in relation to migration, Juncker only addressed it as a pan-European issue, without stating its impact on the regions, which bear most of the arising issues. “President Juncker was absolutely right to focus on the global dimension of the great challenges of our time: migration, climate change and digitalisation. However, we regret that, once again, the role of towns and regions, who are fundamental allies to address these issues, was not mentioned,” Stefano Bonaccini, President of the Council of European Municipalities and Regions (CEMR), highlighted to EURACTIV. “None of those challenges will be overcome without their support. It is crucial not to lose sight of this, especially concerning migration: towns and regions are too often left alone to host and integrate migrants on a day-to-day basis. Their access to EU funding on migration and integration must come into place,” he said. “We are concerned that President Juncker does not mention the importance of regions in tackling issues related to migration and asylum when they have shown their willingness to welcome migrants in need of humanitarian assistance, as demonstrated with the Aquarius humanitarian ship,” added Marianou.